Several hotels and ancillary tourism service providers in the twin-island Federation are participating in the â€œFall in Love with St. Kitts & Nevisâ€ promotion. The promotion, which lures scores of vacationers, includes Value-Added Hotel Savings of up to 40 percent, plus Continental Breakfast, Food & Beverage or Resort Credit at select hotels. Upon check-in, guests receive the Fall in Love Value Card which can be used for additional savings on Car Rentals, Island Tours and Recreation, Gift Shops and Jewelry shops as well as complimentary drinks at participating establishments. 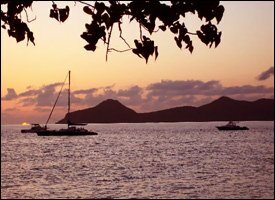 To take full advantage of the â€œFall in Love with St. Kitts & Nevisâ€ offer, guests can reserve their vacation through to December 12, with travel up to December 19, 2009.